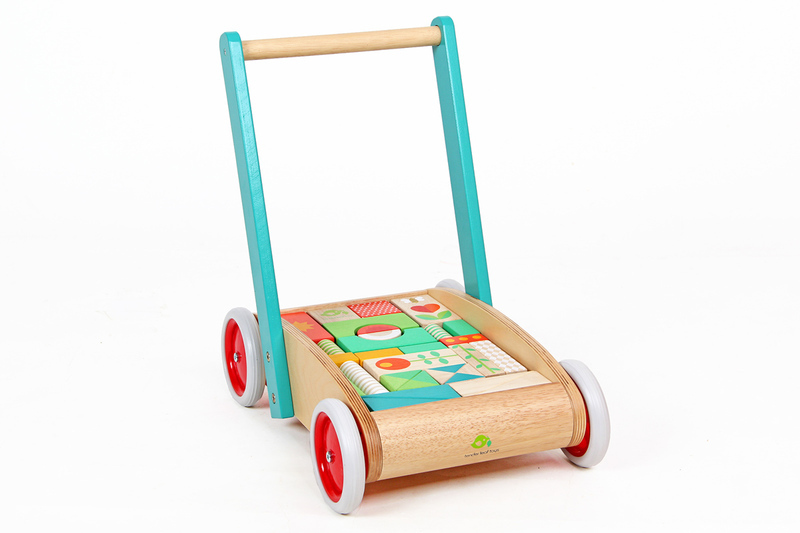 The Tender Leaf Toys Wooden Push Along Wagon Walker gets your toddler moving, playing and, learning. 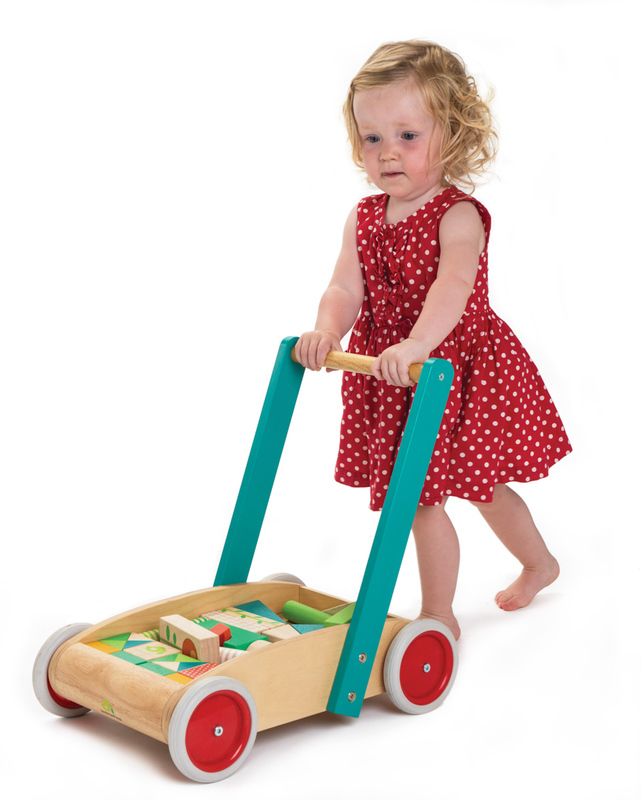 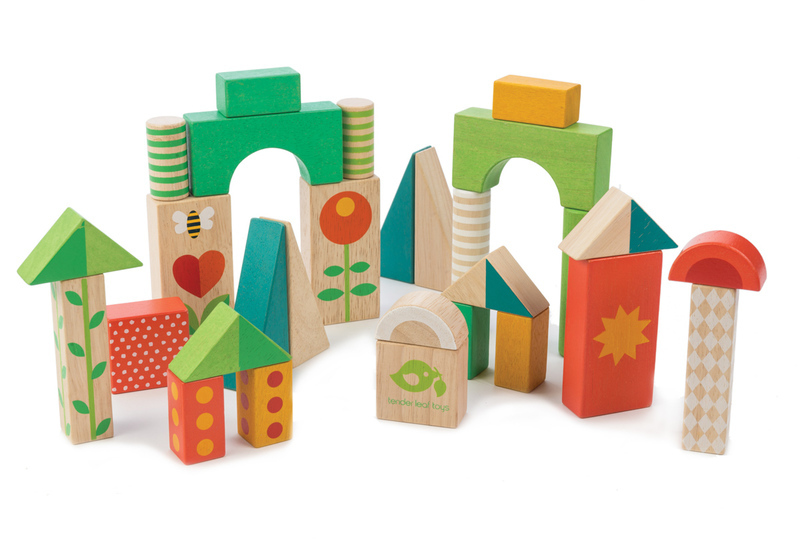 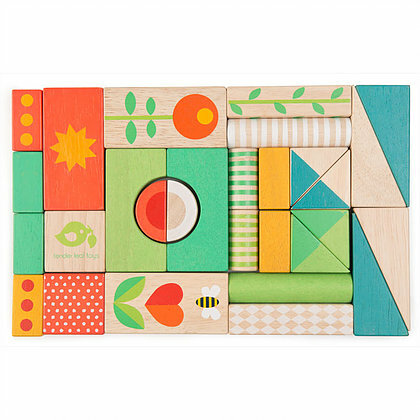 This walker comes complete with 29 colourful garden theme wooden blocks. 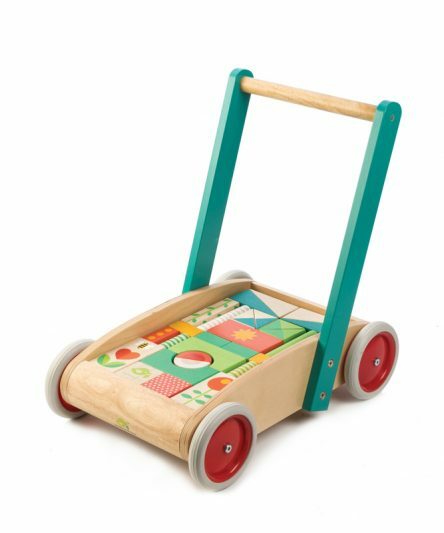 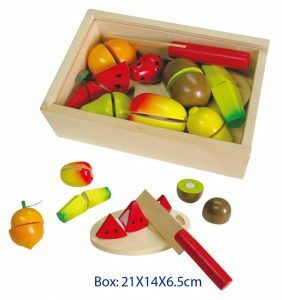 Made from high quality wood, the handle is sturdy enough for toddlers to lean on, you can feel assured that your child’s toy is safe, entertaining, and also sustainably made! 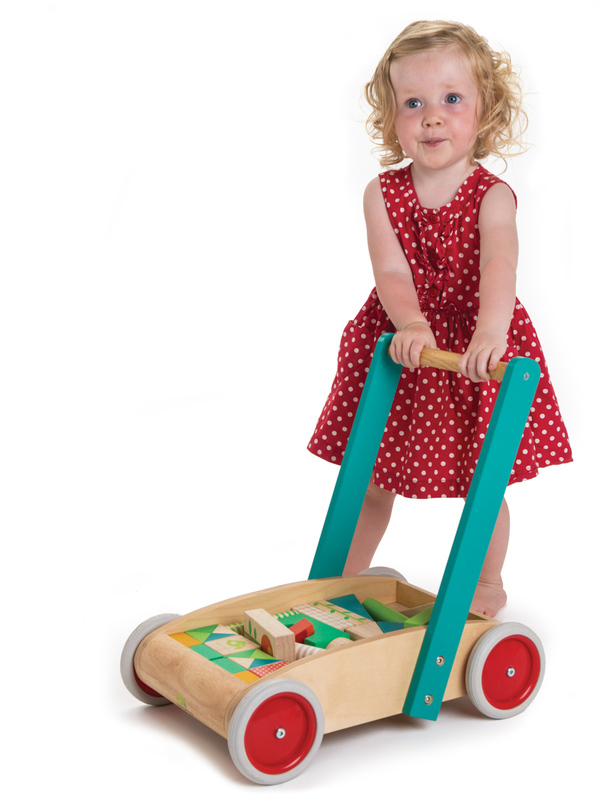 Filled with colourful blocks to build and create, the walker wagon also acts as a teaching aid to support and encourage toddlers to walk.